WASHINGTON (Reuters) - A vote to block the Obama administration's ambitious climate regulation was one of Antonin Scalia's last acts as a Supreme Court justice. His sudden death may have opened a new path to the rule's survival. 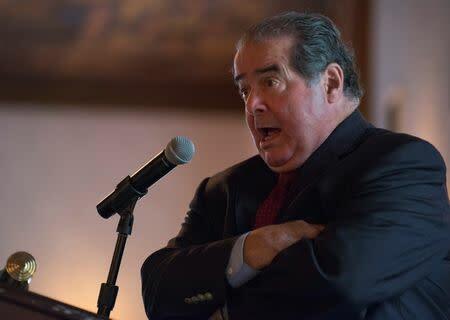 Scalia died Saturday. Four days earlier, he voted with the other conservative members of the high court to put a hold on the administration's plans to implement the Clean Power Plan while it is litigated. The regulation is designed to lower carbon emissions from U.S. power plants by 2030 to 32 percent below 2005 levels. The rule is the United States' main tool to meet the emissions reduction target pledge it made at U.N. climate talks in Paris in December. It was challenged by 27 states, along with business and industry groups, in a case now before an appeals court in Washington, D.C. The Supreme Court could be asked to weigh in again later this year. Without Scalia, the conservative members of the court no longer have a majority, at least in the short term. The sudden shift has given a boost to the supporters of the emissions rule. "Last week, the Clean Power Plan was basically dead," said Brian Potts, a lawyer with the Foley & Lardner law firm who represents companies on environmental regulatory issues. "But with Scalia's death, everything has changed." 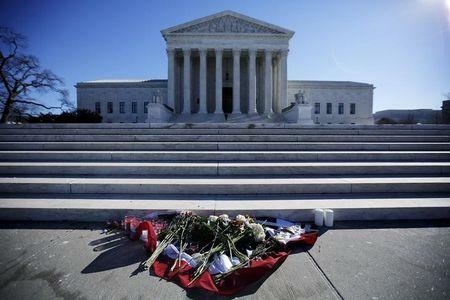 Environmental lawyers involved in the litigation who support the regulation told Reuters Monday that even before Scalia's death they had been hopeful the Supreme Court would ultimately uphold it upon close consideration. But they said the change in the high court bolsters the rule's chances. "There are still no guarantees, but the Clean Power Plan faces much better odds now than it did on Friday," said Jack Lienke, a lawyer with the Institute for Policy Integrity at New York University School of Law, which backs the regulation. Industry lawyers said they remained confident the regulation will be struck down. 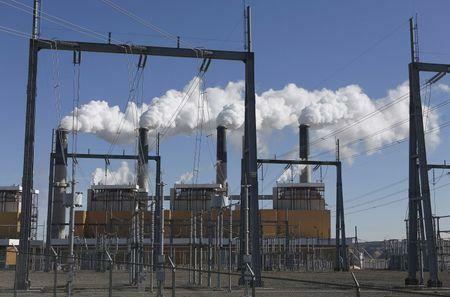 "While Justice Scalia's untimely passing creates more uncertainty, the Clean Power Plan is still predicated on an extraordinarily shaky legal foundation," said Scott Segal, a lawyer with the Bracewell law firm, which represents companies that oppose the regulation. In January, a three-judge panel of the U.S. Court of Appeals for the District of Columbia Circuit had unanimously rejected the same request for a stay that the Supreme Court granted last week. The appellate panel has set oral arguments on the merits of the case for June 2. The randomly-drawn appeals court panel is viewed by lawyers on both sides as relatively favorable for the administration, featuring two Democratic appointees and one Republican appointee. One of the Democratic appointees is Sri Srinivasan, a judge many legal experts see as a leading candidate for President Barack Obama to nominate to replace Scalia. If the appeals court upholds the rule and the challengers take the case to the Supreme Court, they would face an uphill battle in getting the five votes needed for a win without Scalia. The four liberal justices are seen as likely to uphold the rule. So, the best result the challengers would be likely to get is a 4-4 split. When the court is evenly divided, the lower court ruling stands, meaning the regulation would survive. An unknown factor is how soon a ninth member will be appointed and whether it will be a Democratic or Republican president who makes it. Some Republican leaders have said Obama should not appoint a successor, leaving it to the next president, who would take office in January 2017. Obama has said he plans to announce a nomination but will face an uphill ban to win confirmation in the Republican-controlled Senate. If a Democratic appointee replaces Scalia, it would tilt the balance of the court leftward for the first time in decades. A Republican appointee would extend the narrow conservative tilt the bench had until Scalia's death. If Srinivasan were appointed, he would have to step aside on the Clean Power Plan case because of his involvement in the case at the appellate level. That would increase the chances of a 4-4 split.